Scott was born and raised in Wolverhampton, West Midlands (think Peaky Blinders in modern day) and has been performing from as tall as hip height but professionally since the ripe age of 20. His career started with tours in multiple shows around the world which landed him in the film and TV world in London. 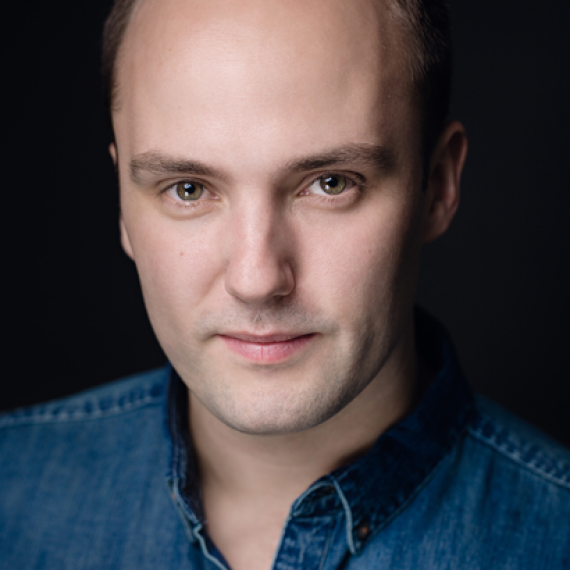 Scott has appeared in productions such as BBC Doctors, The Time Of Their Lives (Netflix) with Joan Collins, 6 Days (Netflix) with Abbie Cornish & Mark Strong and most recently Pendulum. He also has many years experience as a freelance Casting Assistant in Film/TV/Commercials for one of the UK's most prestigious casting companies and has worked with directors such as Paul Greengrass, Tom Hooper, Peter Cattaneo and Tony Kaye. Scott has enjoyed every breakthrough in his work as an actor at AMAW Studios and is honored to be teaching this very freeing way of working.